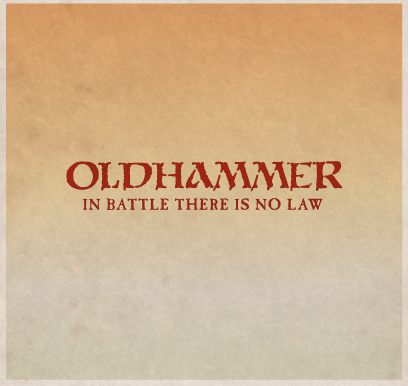 Today's post is another Champion of Khorne for the pool of chaos miniatures to pick from for the OldHammer RoC Event, the classic Realm of Chaos Champions of Khorne can be seen here. 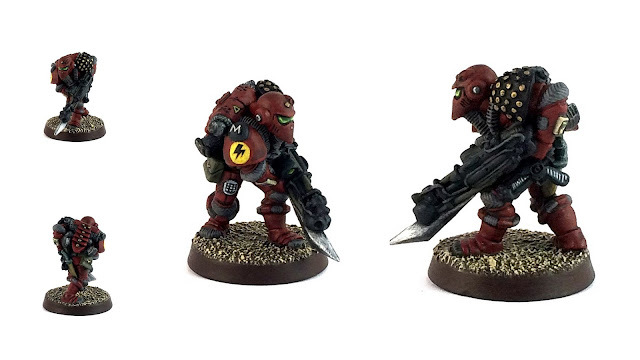 This is one of my favourite chaos champion miniatures, gifted with technology which makes this miniature great for use in games of Rogue Trader and Dark Heresy. So what gifts and attributes doe he have? I would say apart from is Chaos Armour and Bladed Mace, he has Technology - Combi-Flamer/Bolter grafted on to his biomechanical arm, a hunchback, horns and a prosthetic peg leg. This miniature was obviously sculpted from the same dolly as the miniature in my last post. Photo of the back of the miniature to show the Gigeresque sculpting of the biomechanical arm. 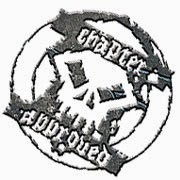 If you are really love your Realm of Chaos champions I would like to point you Asslessman wonderful blog, please join in and get following. 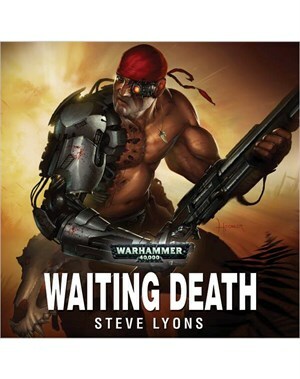 Ok, so what have I been listening too while painting miniatures this week? Waiting Death Colonel 'Iron Hand' Straken having one of his adventures. 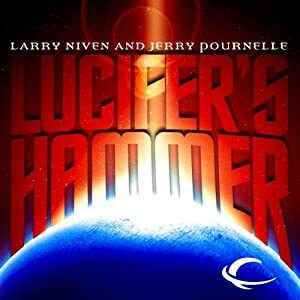 Lucifer's Hammer (Audible) A really enjoyable disaster and post apocalyptic story. Thanks for looking and get joining my crew. To put it in just one word: Charm. That mini is bursting with charm, and the special rules are just pure genius. Thanks Suber, such kind words, I couldn't really imagine the GW of today being as imaginative. Both RoC books are dripping with fantastic rules, painting the arm all red was a touch lazy but I couldn't resist. Love your competition, it needed plugging.